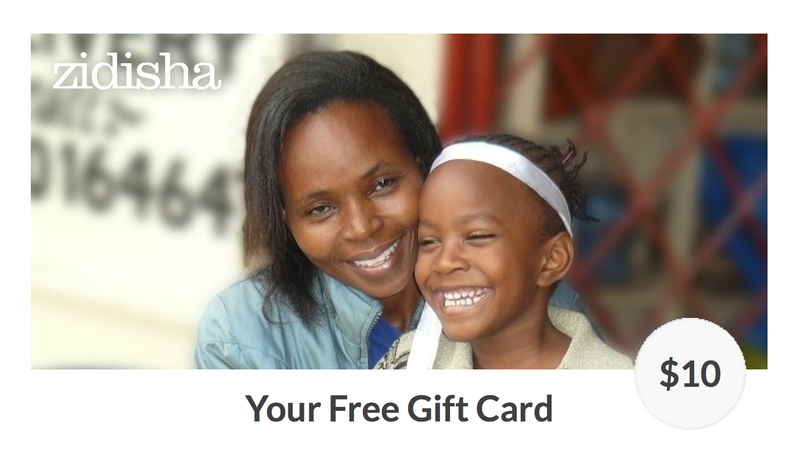 We’re giving away Zidisha gift cards to the first 500 people to join our birthday campaign! So many of us have too much stuff – much of it gifts for birthdays and other occasions. And the more we accumulate, the harder it is for our family and friends to come up with really meaningful new gifts. If we could somehow transfer all this surplus to people who really need it, we could simplify our lives and create something that will go on improving the world long after the gifting occasion has passed. If you’re one of the first 500 to add your email (and you have not already lent with us), we’ll send you a $10 Zidisha donation gift card as a token of thanks. At your next birthday, you can start a birthday page with our easy template, and ask your family and friends to donate there in lieu of gifts. 100% of the donations from your birthday page will go to Zidisha entrepreneurs, and once repaid will be continuously recycled into new loan projects. Make this year your best birthday ever. Sign up for a birthday campaign reminder here. Posted on March 30, 2015 by Julia Kurnia. This entry was posted in Uncategorized. Bookmark the permalink.